If you drive a Jaguar, you know what high-quality vehicles they are. Jaguar is one the best-known automakers in the industry, and their vehicles are among the most sought-after models. There are several Jaguar models, including the F-Type, XJ, XF, and XE. These are luxury vehicles that are known for their high-power and stamina as well as the luxurious features. All those features and options can be challenging to come by in one vehicle. Unfortunately, despite all these perks, Jaguars can suffer mechanical issues just like any other car. You might be very upset when you notice your Jaguar is leaking oil. Oil leaks are common and can be very difficult to deal with or figure out where they’re coming from. Some oil leaks aren’t even noticed right away because it could be a minor leak. Below are some warning signs to keep an eye out for. The source of the leak must be determined so the problem can be fixed right the first time. There are many causes of oil leaks, and you want a professional mechanic who knows how to address problems with this specific vehicle. As the owner of a Jaguar, you need to have some familiarity with the more common causes of oil leaks. The root of the problem must be discovered to make sure time and money isn’t wasted and the right repair is made to take care of the problem. Oil seals keep oil flowing freely through the engine without allowing oil to leak, but over time the seals might deteriorate and require replacement. If these seals start leaking, it can damage other vehicle parts and the oil can get contaminated, causing problems with all other engine parts. A damaged oil pan can cause serious problems. The oil pan is beneath the car and it is susceptible to damage. If the pan gets damaged, oil will leak from underneath your car. This part should be checked when an oil leak is noticed. 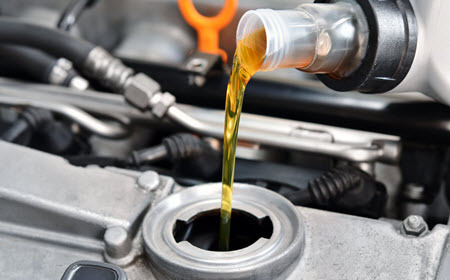 While you need to make sure your car’s oil is changed regularly, and you want to make sure the oil isn’t too low, you want to make sure there isn’t an overspill. When the oil is too full, or if the cap is loose, oil can leak out on the engine parts. This can cause damage and cause smoke to come from the engine. There are many things that you can do to prevent Jaguar oil leaks. You need to follow through with your Jaguar maintenance, especially the oil changes. You should follow the recommended schedule in your owner’s manual, but that usually means to change the oil and filter every three months. You should always use the correct motor oil for your Jaguar. Some models require synthetic oil, which doesn’t call for oil changes as frequently. Your owner’s manual will tell you if your car can use synthetic oil. Your mechanic will also be able to help you with this as well. If you notice any oil leaking from your Jaguar, you should immediately have it inspected by your trusted auto repair facility. There is no such thing as an insignificant oil leak, as even a tiny drip can lead to serious problems. The longer you wait to have your vehicle repaired, the more likely it is to cause more problems in your vehicle. Delaying repairs can lead to worse problems and cause other components to be damaged. Failing to fix an oil leak could cause serious engine damage and might even ruin your engine. Replacing your Jaguar engine would be a very expensive project, so you don’t want to risk that problem. Periodically check your vehicle parking spot and look underneath the hood to see if you see any oil. Oil leaks can be noticed from either of those places. If you suspect an oil leak in your Jaguar, schedule service at a qualified Jaguar repair facility. For quality service in the Orange County area, including Mission Viejo, Lake Forest, Costa Mesa, Irvine, Huntington Beach, Laguna Hills, and Laguna Nigel, CA, call Mark Douglas Motorworks at (949) 472-8842 to schedule an appointment.